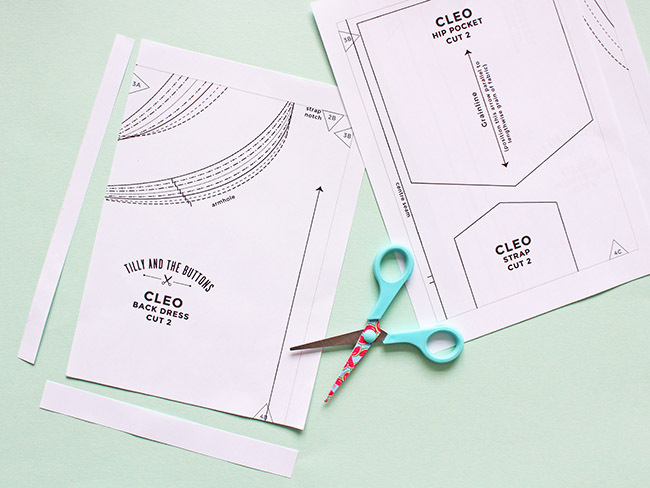 If you’re new to digital print-at-home PDF sewing patterns, this post will guide you through the simple steps to turn the file on your computer into a full-size paper pattern. 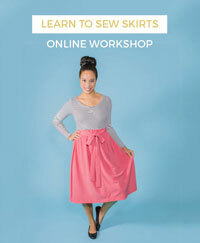 You can get your hands of them instantly as soon as you get that urge to sew! 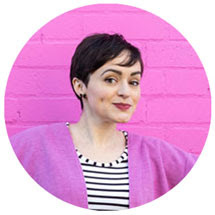 If video tutorials are more your thing - we've made a how to video linked below! For both A0 and A4/US Letter, download your pattern and save to your computer files. Open the file in a PDF reader such as Adobe Reader, which you can download for free. Other PDF readers are available, but you may find that some scale the pattern to the wrong size (see below). Scaling is super important! 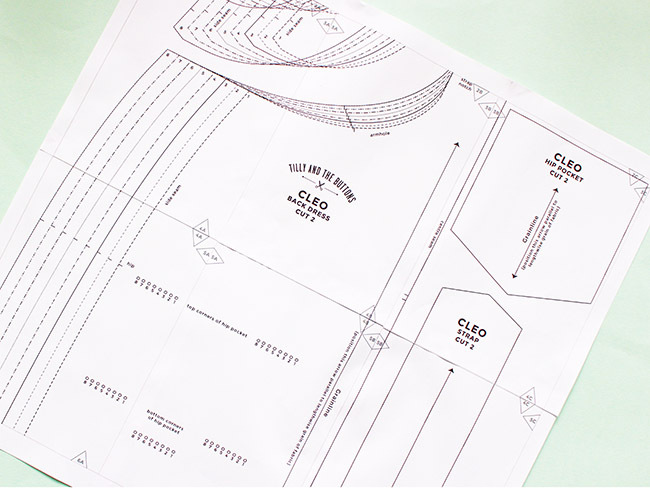 You need to ensure that the pattern is printed at full scale so your garment turns out the size it was intended to be. Just a few % out and your garment could end up annoyingly tight. Ensure the print settings are set to 100%. After printing, measure the test square to check it's exactly 60mm x 60mm. 1. 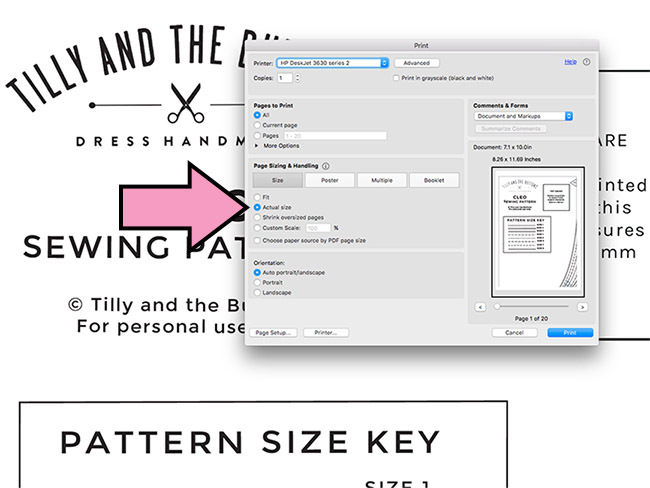 Go into your print settings, under 'page size' click 'poster' to centre the tile and ensure the scale is set to 100% (or 'actual size' - NOT 'fit' or 'shrink pages') to print the pattern at full scale. 2. Print page 1 only to check the print settings are correct. 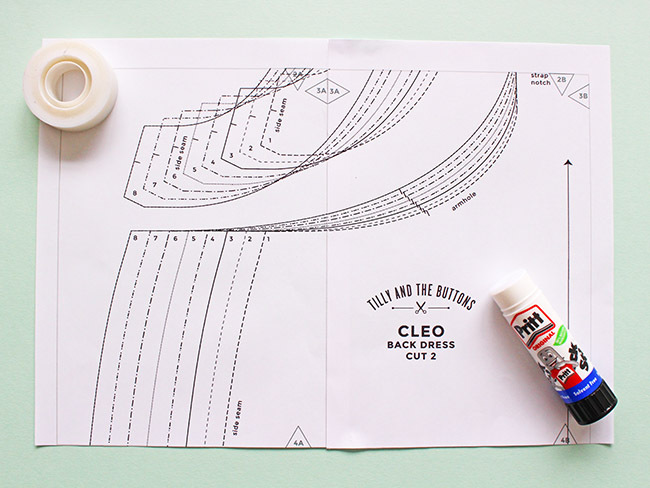 On Tilly and the Buttons digital sewing patterns, page 1 has a test square on it. 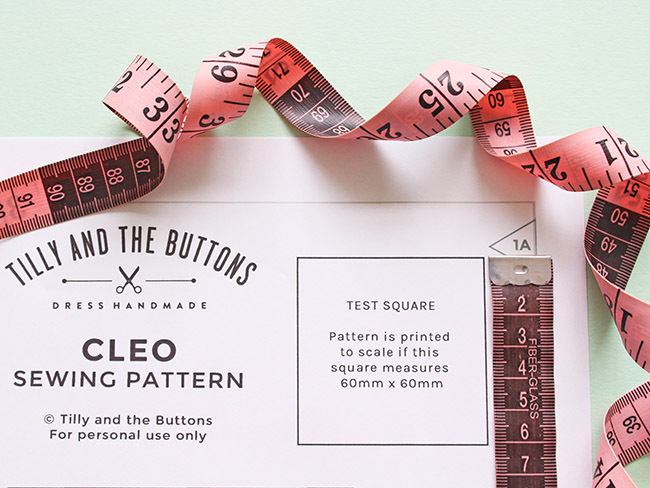 If you're using another pattern, the test square is often somewhere in the middle of the pattern - locate the square and print that page only. Measure the test square – on my patterns it should measure exactly 60mm x 60mm. If it’s a even a couple of mm out, check your print settings or PDF reader and try again. 3. Once you’re happy with the scale settings, print the full pattern. 4. Cut along the rectangular border lines - one long side and one short side - on each piece of paper. 5. Align the little triangles to match up the pages (1A with 1A, 1B with 1B… etc) and glue or tape them together. Et voilà! Your pattern is now ready to use. 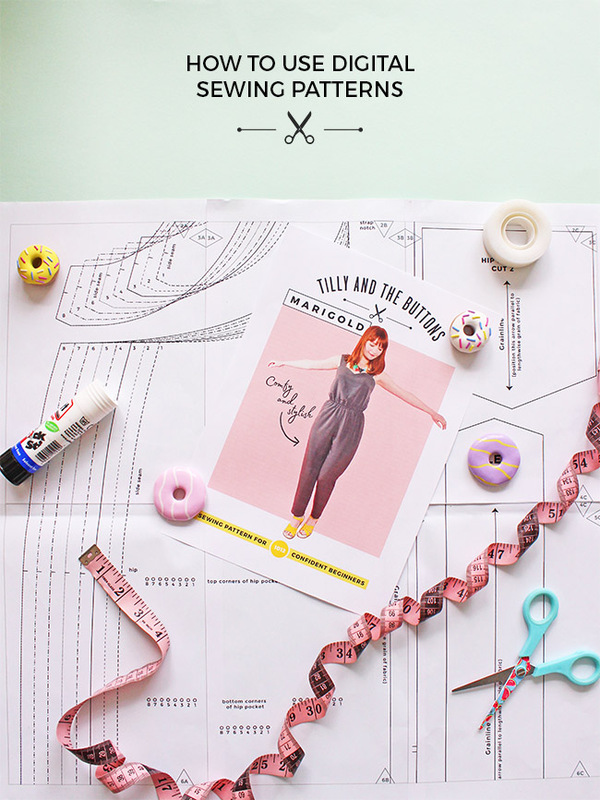 Take a look at Tilly and the Buttons digital sewing patterns in my shop.